On the shores of Lake Wörthersee one lives in illustrious company: down-to-earth locals rubbing shoulders in the most neighbourly way with international moneyed aristocracy, High Society, stars and starlets. This special mixture makes for an exceptional stylishness. A serene-southern atmosphere forever wafts around the Lake that is also known as the “Austrian Caribbean”. Events such as the Fête Blanche, Ironman, the sportscar rally and a legendary nightlife are no less part of its characteristic identity than the untouched natural landscapes and the numerous skiing areas in the vicinity. 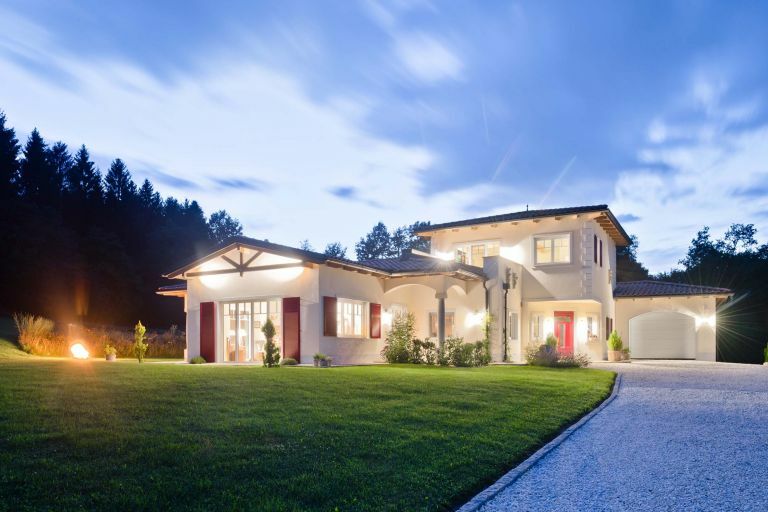 Anyone searching for a property in Velden, wishing to purchase a house in Pörtschach, or aspiring to fulfil the dream of a property in Krumpendorf, will encounter the “Wörthersee architecture” that is so typical of this region. Lakeside villas and new-build apartments with lake access alternate with each other. Exclusivity has its price. 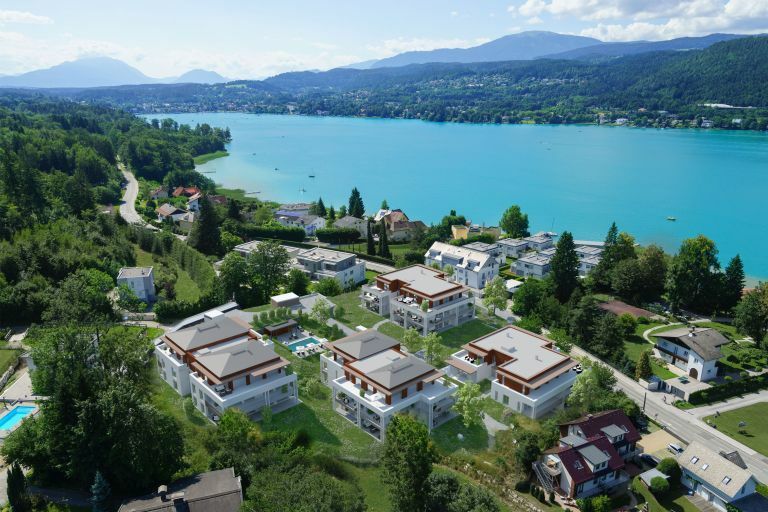 Going rates of up to 5,000 Euros per square metre for lakeside plots or up to 3 million Euros for a villa in Pörtschach or Velden speak for themselves. 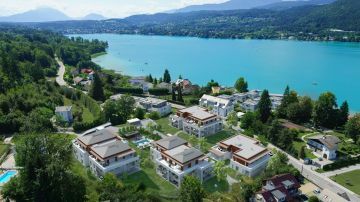 For the most exclusive apartments directly on the lake, prices can reach as high as EUR 14,000 per square metre. 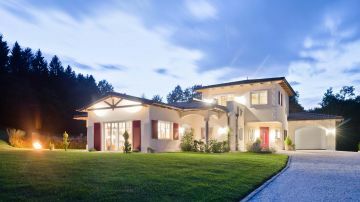 Buying a house in Velden? Your dream property in Pörtschach? Just contact us! You can count on our full support in finding a property in Pörtschach, or Velden – or equally in Klagenfurt, Maria Wörth or Schiefling – and we will be at your side all the way through to the signing of the contract. Just take a glance at our Wörthersee portfolio to gain some first impressions. For further information about properties on the Wörthersee, we will gladly place ourselves at your personal disposal.